Kick is the Ultimate Soil Conditioner. Designed to help open tight soils and stimulate microbial activity, Kick will promote healthy root growth in both turf and ornamentals, reduce plant stress, break nutrient bonds in the soil and is an available food source for microbial populations. 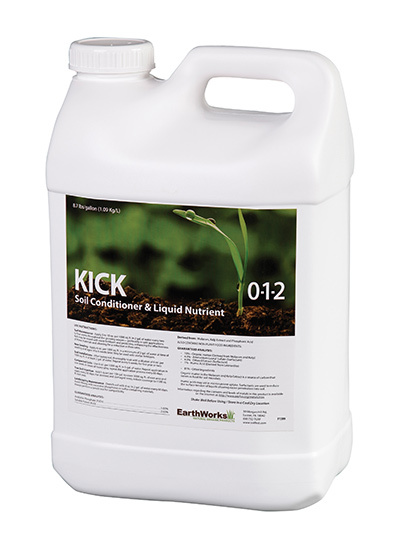 With over twenty raw materials, Kick is a powerful soil conditioners available. Use Kick as part of a regular liquid application program for very tight soils, sodium rich soils, or to help stimulate new plantings. The Kick Flush Program - Kick applied with CalVantage and gypsum - is designed to sequester the excess sodium and/or bicarbonates in the soil root zone and pull them out of the soil and away from the root system. Kick, the core of the program, formulated with multiple raw ingredients all of which create a powerful sequestering agents for sodium and bicarbonates. 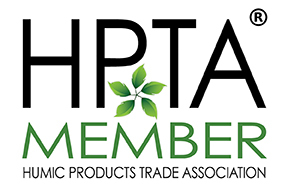 Gypsum and CalVantage will add sustainable and soluble calcium to the soil and knock sodium off of the soil colloid. The program is completed by rinsing the treatment into the soil with a surfactant. The surfactant inhibits water’s cohesive tendencies and helps it to flush through the smaller pores in the soil matrix.